Scooper - Technology News: India loses billions of rupees to traffic jams. Is ride-sharing the solution? Bangalore is famous around the world as India’s technology capital and the birthplace of its most innovative ideas. But visitors to the city are often struck by another side of life there: the awful traffic. The city is the sixth worst in the world for traffic jams, according to a recent survey . Another showed India’s Silicon Valley was losing 600 million working hours a year to congestion, costing it 37 billion rupees (over $500 million) each year in lost earnings. It’s a similar story elsewhere in India’s cities, where one study suggests that almost half of all drivers spend more than 12 hours a week stuck in their car. 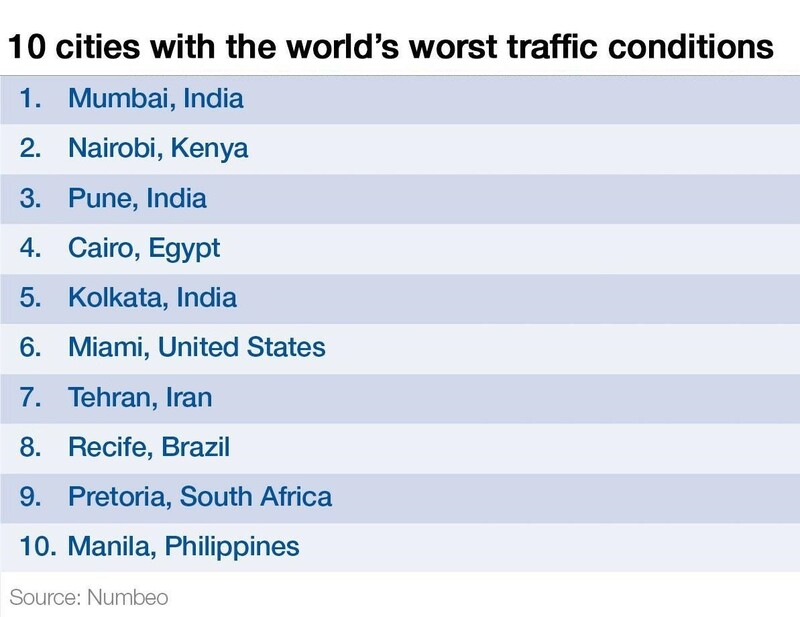 Yet another survey found that three of the 10 worst cities for traffic conditions were in India. Bangalore and other Indian cities stand at the intersection of a global urbanization trend – by 2050, 70% of the world will live in cities, up from only 13% in 1900. That will put a tremendous strain on infrastructure. Breaking the gridlock won’t be easy, because even if we invest hundreds of billions of dollars into infrastructure, we’ll struggle to bring mass transit to everyone’s front door. In fact, according to Deloitte, India’s 100 Smart Cities mission will require an investment of over $150 billion over the next few years – a sum of money that governments alone cannot pull together, especially in emerging economies, where urbanization is at its fastest. But could part of the solution be found in Bangalore’s very streets? That may sound strange, but it’s not. Ride-hailing apps make it easy for people to share their vehicles, getting more people into fewer cars. Even better: it won’t cost the government any extra money, and it can make an immediate impact. Prime Minister Narendra Modi has called the Smart Cities project a people’s movement. And to make it a success we have to involve as many people as possible to collectively work on smart solutions. Of course, carpooling is not a new idea. People in India and elsewhere have been doing it for decades. The difference now is that ridesharing apps like Uber can instantly match passengers heading in the same direction at the same time. Powered by technology, it’s a model that works and can create impact at scale. Around the world, outdated rules that distinguish between professional drivers (seen as good) and private drivers (bad) are holding back carpooling. That’s even true when private drivers have been through a background check, proven they are fit to drive and have insurance. By making sharing hard, governments end up forcing citizens into individual car ownership – at huge public cost. The good news is that there’s increasing momentum for reform, with more and more cities introducing progressive regulations. In just over three years, nearly 70 states and cities in the United States have made the leap, and several states in Mexico and Australia have followed suit. At the heart of these new rules is the belief that one citizen should be free to give another citizen a ride across town, so long as there are regulations to ensure that important safety and consumer-protection standards are met. We now have the technology to make our cities more livable and less congested. But reducing our dependence on cars requires a cultural shift as much as a technological one. For decades, cars have been seen as a status symbol. Now attitudes are starting to change, with many Indians rethinking car-ownership and many more simply dropping the idea of buying a second car. As cities in India consider ways to cut congestion, they should investigate laws that would encourage ridesharing. We don’t have to wait a decade to create the cities of the future. With progressive regulations and the technology already in our pockets, we can build mobility alternatives for smart cities of today. The India Economic Summit is taking place in New Delhi, India, from 6-7 October.